Wear your cause through the year. PNLIT Wristbands - available in two sizes, Rs 30 each. We are so bursting with excitement!! 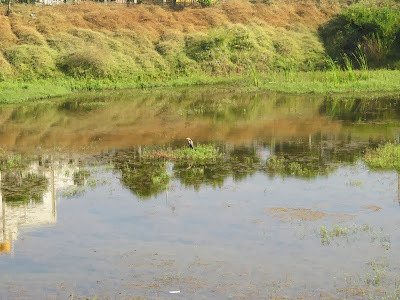 The Garganeys are back at our Puttenahalli Lake! They are migratory birds moving to India from Europe. Our winged visitors are female which are so similar to the Common Teal that we indeed had thought them to be the Teal when we saw them yesterday evening and again today morning. Thanks to Dr. Subramanya for identifying the bird. We'd last spotted the Garganey at our lake in the winter of 2011, one of the few places, if not the only lake in the city, to where it migrated! We cannot but remember how Mr. Zafar Futehally had visited our lake twice just to see the Garganeys. The visitors have not taken the sheen off our resident birds and we're so delighted to see more numbers of Spot-billed Ducks, at least a pair of Purple Herons, many Egrets and of course, the Common Coots and Purple Swamphens. Visit the lake and see them for yourselves! The monsoon this year has receded and the top of the stakes we'd planted in the water are showing already. This means the level is falling but hopefully come summer, there will still be enough water for the fish to survive unlike the summer of 2013. It is indeed gratifying to see more birds at the lake. 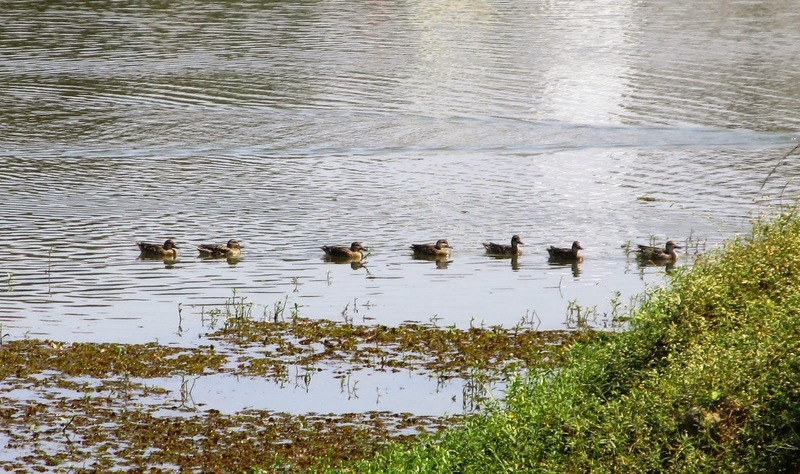 The Spot-billed Ducks are five now. You can see their exquisite close up photo featured for the month of March in our calendar. We managed to "rescue" a drift wood plant display stand from being burnt and bought it off a maid for Rs. 100. It is now placed on the lake bed awaiting the birds to perch on it. Several egrets feed around but we haven't seen one of them sit on the drift wood yet. 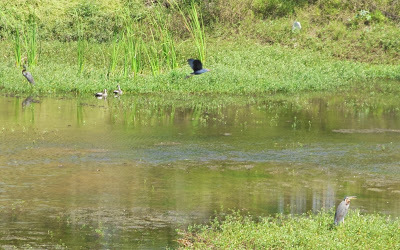 The birds in the photograph are not too clear to be identified but we hope they are Lesser Whistling Ducks (featured for May in the PNLIT calendar). Our trees, shrubs and other plants have grown well in the past few months. 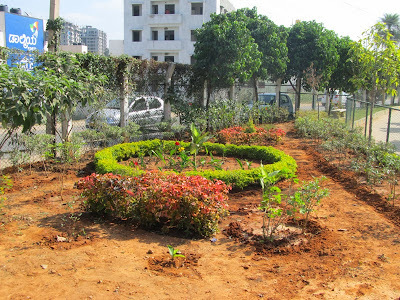 See a pic of the garden near the Gazebo. The water lilies we'd planted at various places are blooming and one such patch has become a nesting place for a Common Coot! It chases away other birds that come near the water with angry splashing of the water. As for the lily blooms themselves, strangely enough, the common comment we hear from regular visitors to the lake is that the sight is "calming"!! With greetings for Christmas from all of us at PNLIT. 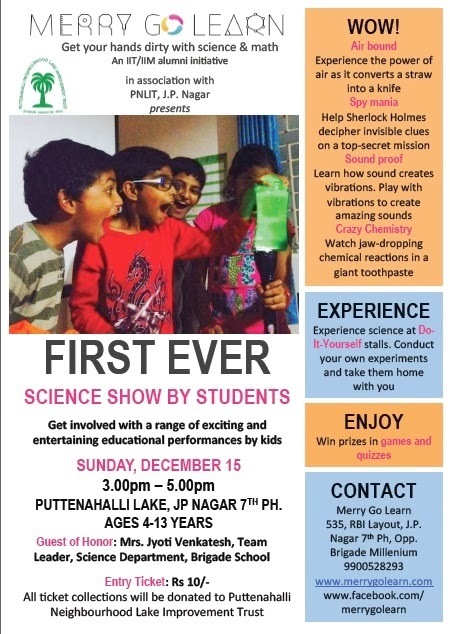 Puttenahalli Lake played host to the first ever public science show, by children, on Sunday 15th Dec 2013. 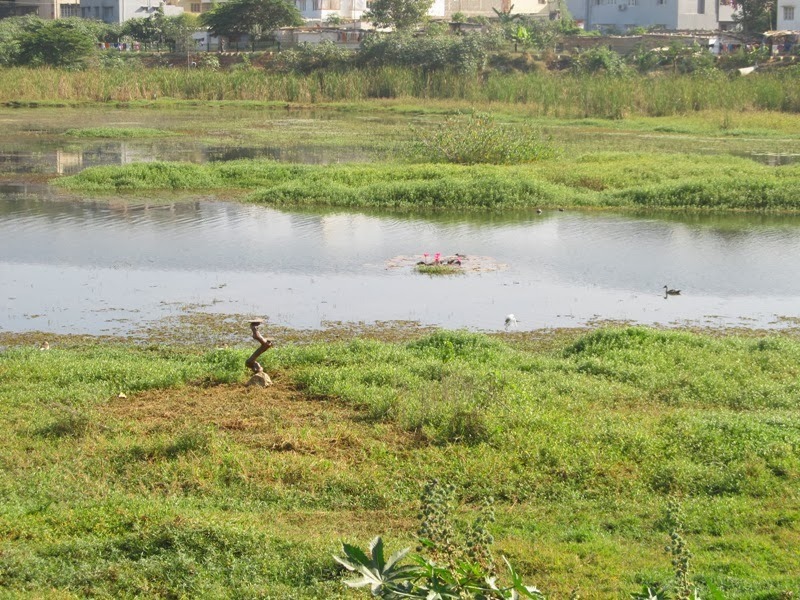 The event was conducted by Merry Go Learn (an IIT/IIM alumni initiative), in association with Puttenahalli Neighbourhood Lake Improvement Trust (PNLIT). Students from Standards 1 to 8 who are attending sessions at Merry Go Learn, applied concepts of science and maths to perform interesting experiments, that left many in the audience, parents included, absolutely amazed. The show included a quiz, a do it yourself stall with children making their own kaleidoscopes and an exciting treasure hunt. 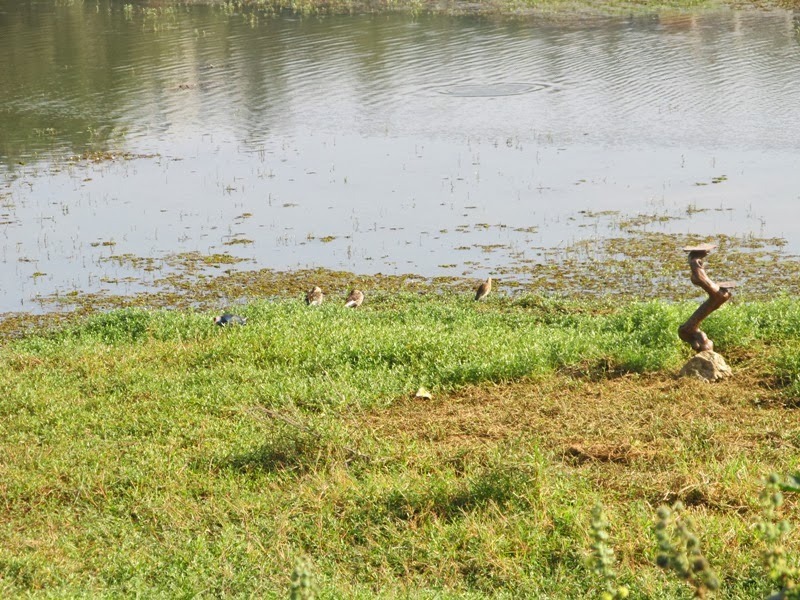 Apart from creating awareness through practical learning, the backdrop of Puttenahalli Lake provided the much needed environmental sensitivity that goes with making science so much fun. Thanks to Usha Krishnamurthy, Centre Manager of Merry Go Learn for the information provided and the pics. A detailed report can be seen here. PNLIT, in association with Merry Go Learn, invites you to the FIRST EVER SCIENCE SHOW conducted by students - an environment awareness initiative. * Get their hands dirty with science - make their own kaleidoscopes, floating rings, lava lamps and much more..
Students in the age group 4-13 years and their parents are cordially invited. 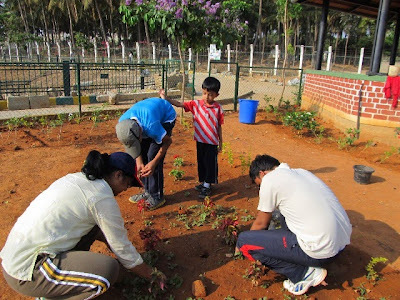 After a lull, we are resuming our weekend volunteering programme at Puttenahalli Lake this Sat. 7th Dec. 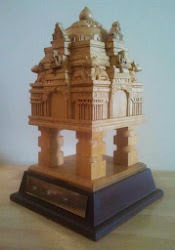 Please confirm your participation with an email <puttenahalli.lake@gmail.com>. Work to be done: shifting red soil from outside the gate at BM end, deweeding, trimming branches, etc. PNLIT is a very small team and quite often only 1 or 2 trustees are available to coordinate any activity including weekend gardening. When saddled with other unavoidable commitments, we are forced to cancel the gardening. This is why we are inviting volunteers only on one day, 7th Dec.
To ensure continuity, we seek volunteers who can coordinate gardening for residents on weekends. It is a popular activity with adults and children alike and we've had parents work together with their children on the lake bund. It is indeed a remarkable and unusual opportunity in an urban setting like ours. If you would like to be a part of this gardening team, please email. Time commitment is only a couple of hours at the lake on weekends. Satisfaction quotient, very high! 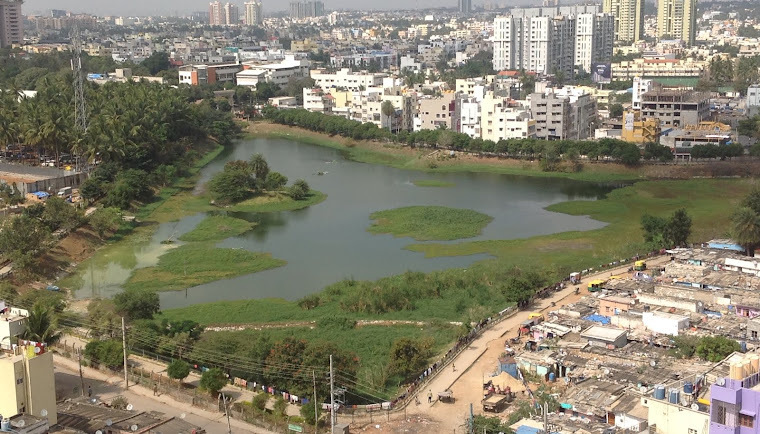 Yesterday's workshop organized by Save Bangalore Lakes Trust and Citizens' Action Forum in association with the Rotary Bangalore Junction was very well attended by individuals and different lake groups across the city. It was held at the Senate Hall, Central College. To encourage the nascent lake groups, success stories of rejuvenated lakes at Akshaya nagara, Byrasandra, Kaikondanahalli and our Puttenahalli were presented. Speaking on behalf of PNLIT, I chose to focus on community involvement which has been our strength. Some of the ways by which we have tried to involve the neighbourhood and to promote a sense of ownership are weekend volunteering, birthday/nature walk, story telling and the recent fundraising among many others. The increasing support we have received is reflected in the amounts of Rs. 4,800 we raised during Earth Day in April 2010 to the Rs. 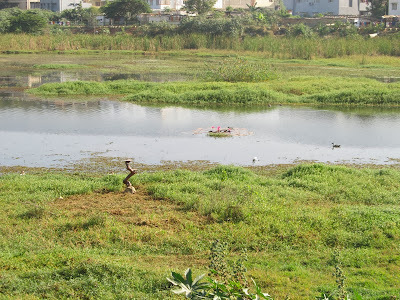 4.58 Lakh in Sept. 2013 towards maintaining our lake. The audience appreciated our inclusive approach and asked several questions ranging from how we share information with the neighbourhood (mails, the black painted security cabin wall on which we chalk announcements), activities to spread awareness, on tree planting, etc. For PNLIT, it was a good opportunity to know about other lakes in the city and their journey to renovate them. 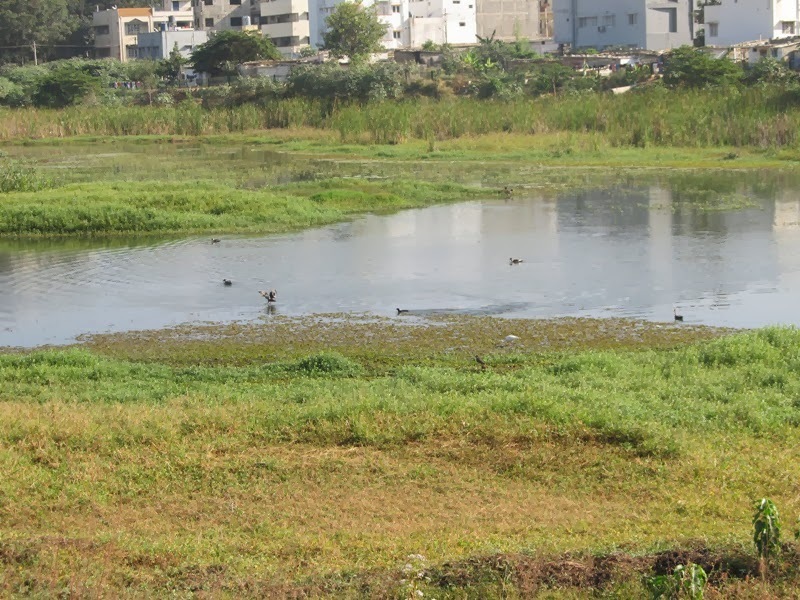 I was particularly impressed by the remarkable 20 year old legal battle fought to protect and reclaim Byrasandra lake. It was an inspiring, humbling experience to hear Mr. Venkata Subba Rao. His success story can be read about here.